Certified Nursing Assistants have an important role as part of the nursing care team. Short-term CNA classes provide one the fastest means of preparing for employment in healthcare. Nursing assistant students acquire basic nursing skills and learn the concepts of patient care in a few short weeks – less time that it takes to become a licensed practical nurse or registered nurse. Nurse aide graduates must demonstrate their proficiency to provide safe and quality care in long-term care facility by passing the State Competency Evaluation. The evaluation includes an assessment of written and skills competency and those who pass the exam will be added to the Alabama Nurse Aide Registry. Nurse aides work closely with residents or patients daily to assist with personal care, mobility, and restoration of health. Personal care activities include bathing, dressing, feeding, toileting, making beds, and movement from the bed to wheelchair and back again. They also perform basic nursing activities under the supervision of a licensed nurse. These might include measuring and recording vital signs, assisting with rehabilitative treatments, collecting samples, setting up medical equipment, and observing patients to report any adverse reactions to a nurse or physician. 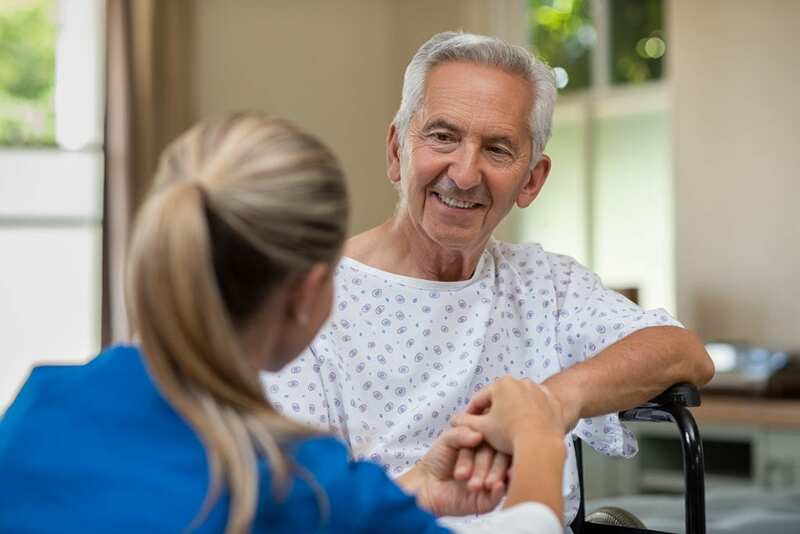 Health Care Connection offers an Alabama approved CNA class that prepares students for success on the state board evaluation and practice as a direct care professional in a long-term care facility. The curriculum includes theory in the classroom, simulation exercises in a modern lab, and supervised patient care experiences in a skilled nursing facility. Some areas of study include the role and responsibility of the nurse aide, anatomy and physiology, care across lifespan, measuring vital signs, hospice care, range of motion, medical terminology, feeding and nutrition, infection control, personal care, and Alzheimer’s care. State Board requires students to complete all the designated clock hours by attending all classes. Absences are not permitted. Students must pass the clinical skills check off with the full score of 100%, demonstrate knowledge of the medical term, and obtain a final score of 70% or higher to receive Nursing Assistant Certificate, letter of recommendation and BLCS/CPR card. Registration for the program is by appointment only. Acceptance is based on a first come, first served basis. Tuition costs $1050 and includes the State Board Certification exam, which is offered on-site for students’ convenience. Additional supplies include stethoscope, textbooks, scrubs, and blood pressure cuff. The cost for these must be covered by the student. Lawson State Community College offers two tracks for prospective nursing assistants. The first track includes preparation for Home Health Aide practice and is offered once per semester. The certificate program delivers 10-semester hours and includes theory and lab experiences to support the development of essential skills that will enable students to practice as a Certified Nursing Assistant and Home Health Aide in long term care. Areas of emphasis include personal and restorative care, patient safety, infection control, mobility and body mechanics, communication and interpersonal relationships, observation and reporting, vital signs, medical terminology, and care across life span. The second track – offered on the Bessemer Campus – is available twice per semester prepares students for the Nurse Aide Competency Evaluation Services (NACES) exam. Classes meet Monday, Tuesday, and Thursday from 4:00 pm to 10:00 pm for five weeks. The cost for the first track is $1,500 and includes fees and supplies. Financial aid is available through the Workforce Investment Act (WIA). The cost for the NACES preparation is $665. Additional expenses include textbook and workbook, scrubs, TB skin test, scrubs, blood pressure cuff, stethoscope, and gait belt. Dates and cost are subject to change. Jefferson State Community College prepares adults to play an important role in the health care industry. The program’s 110-hour curriculum includes 90 hours of lecture and lab and 20 hours of clinical rotation in a skilled nursing facility. The clinical rotation may be scheduled on a weekday, night or weekend and will include supervised patient care experiences. Course content will include nutrition, care of the cognitively impaired, infection control, medical terminology, anatomy and physiology, physiology, vital signs, basic nursing skills, the role and responsibility of the nursing assistant, range of motion, and personal care. Other areas of study include the language of health care, observation, documentation and reporting, the long-term care facility, patients’ rights, caring for the dying resident, seeking employment, and restorative/rehabilitative care of residents. Upon successful completion of the program, students will receive a certificate of completion and will be eligible to sit for the NNAAP exam to become a Certified Nursing Assistant in Alabama. Tuition for the program is $899. Additional costs will include textbook, malpractice insurance, First Aid/CPR certification, and state exam fee. Scholarships via Workforce Investment Act (WIA) may be available for eligible students.